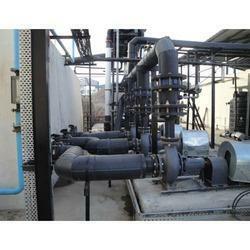 Service Provider of Effulent Treatment Plant HDPE Piping Services. Our product range also comprises of PP Socket Fusion, Piping Grid and PP Chemical Tanks. Indoor/Outdoor Both turnkey & service only. For the diverse requirements of our valued clients', we are engaged in offering Effulent Treatment Plant HDPE Piping Services. These services are executed under the supervision of our adroit professionals who have in-depth experience in allied field. The pipe installation services provided by us is accurate that is well appreciated by clients. Our prices are affordable and HDPE Pipe Installation Services are outstanding.